Freezing winter has ended with the Ides of March threatening eventualities not as grim as many doomsayers dominating the media in India had been predicting following Prime Minister (PM) Narendra Modi grappling with the possibility of an electoral defeat in the forthcoming elections. His gamble to use the Pulwama terrorist act under the cover of Hinduvta religious nationalism to repair his dwindling electoral prospects have fallen flat on his face. The good news is that the Samjotha Express and bus transport have resumed their services to and fro between the two countries, announcing business as usual. To Modi’s displeasure, Pakistan and its leadership have responded more maturely and with greater restraint as never seen before under extreme provocations including constant firing on the Line of Control (LOC). Pakistan Air Force (PAF) must be given full credit for repeating its past performance 48 years ago in air superiority. Indeed, PM Imran Khan was absolutely right when in his immediate telecast to the nation after the Indian air intrusion, he had warned off pitfalls in miscalculations. Whatever Modi’s experts had on their drawing boards did not have correct calculations and their invading planes could not even differentiate between apples and potatoes. One can imagine Modi Sarkar’s embarrassment that when asked by international media and Pakistan for proof of IAF’s kills and destruction of alleged JeM’s training camps, the only thing they could show were empty pockets. With war clouds getting dissipated in an overall atmosphere clamouring upon the international opinion not to ignore Indian occupation of Kashmir any longer, perpetuation of its hold on the valley with brute force and increasing number of human rights violations, killing of innocent people seeking the right of self-determination. Let Pulwama be the beginning of a new effort for peace in Kashmir and not be lost as yet another incident of seasonal affair in sub-continent’s regional politics. Indeed, unlike in the recent past under PM Nawaz Sharif , now we have a Foreign Minister. However, there is no proactive foreign policy yet. 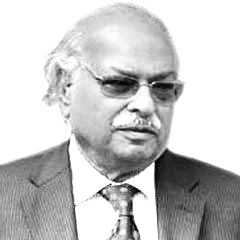 No doubt, some of the actions of the government – whether under pressure like the one General Pervez Musharraf had to take or goodness of the government that led to the release of an Indian Air Force combat pilot have definitely been gestures deserving applause worldwide, but these make not a foreign policy. The test of Pakistan Foreign Office and Foreign Minister was when it received a bolt from the blue to know that Indian Foreign Minister Shushma Swaraj had been invited as Chief Guest to the OIC Council of Foreign Ministers in the UAE. Foreign Minister Shah Mahmood Qureshi offered a knee jerk response instead of matured reaction resulting in a boycott in protest. Pakistan gave the impression that despite being a founder member, it was kept in the dark regarding the invite, especially when Pakistan-a Muslim country– was under attack by India. Not only that, instead of making good of a bad situation, Pakistan tried its best to pressurise OIC Secretariat to dis-invite her. It further revealed that Pakistan had been consulted by UAE and it did not object to the invite-perhaps a correct view. In a flurry of anti-India sentiments, joint session of the Parliament too was carried away and it passed a resolution for boycott of the OIC Ministerial meeting. The Pakistan People’s Party (PPP) has been the only party that showed maturity when its MNA and President Asif Ali Zardari opposed the boycott and advised Foreign Minister and Pakistani delegation to use the platform to lobby to corner India on Kashmir. I am sure Foreign Minister Shah Mahmud Qureshi must be regretting his absence from the OIC Ministerial Moot especially when in a resolution the OIC Ministers appreciated restrain shown by Pakistan, its act of generosity and human kidness by returning the Indian Air Force pilot, condemned Indian belligerence, demanded of India to stop Human Rights violations and to seek peaceful settlement of the long-festering Kashmir dispute. Had Qureshi been there he could have convinced the OIC Ministers to pressurise India to take concrete steps to de-escalate the war-like situation, at least reduce if not fully withdraw, its troops from the Occupied territory. In the war-like heat, a lot could have been achieved by exercise of pro-active diplomacy. By unwisely boycotting the OIC meeting, Shah Mahmood Qureshi indeed, missed the opportunity to effectively counter Modi’s baseless allegations fabricated by his intelligence apparatus to save him the seats slipping out of his hands. Pakistan could have surely used the advantages made from Modi’s jingoism by creating an atmosphere for resumption of composite dialogue as a diplomatic way forward. In conclusion, it is time for Pakistan to have joint session of the Parliament to have comprehensive debate on foreign policy by using collective wisdom of the leadership on either side of the divide. Unprecedented national unity shown by political parties, leaders and the nation should not be frittered away or sacrificed at the altar of personal egos.